Syncro Arts Revoice Pro 3 is an indispensable tool for anyone tasked with tightening up stacked vocals or instrument tracks. If you spend your time editing ADR (Automatic Dialogue Replacement), loosely recorded multi-tracks (instrument or voice), and just about anything else related to making the star of the show (vocals) “sit tight and sit right,” you’ve just found your best new assistant! Revoice Pro 3 can and will revolutionize your workflow, saving countless hours and dollars due to its stellar feature set, rock solid performance, and remarkable usability and sound. Furthermore, those searching for a way to make huge rock and metal guitar sounds or massive vocal stacks with Revoice Pro 3 will change the way you think about multi-tracking. No joke: any engineer that has made a choice to limit stacking (vocals or instrumentation) due to the time-consuming nature of the editing process will bless the day they got Revoice Pro 3. In addition, all of the tasks associated with ADR and multi-tracking—as well as pitch correction—are part of a concise interface that seamlessly integrates into your DAW. Overall: 3.6 Stars, which earns it a WIHO Award! 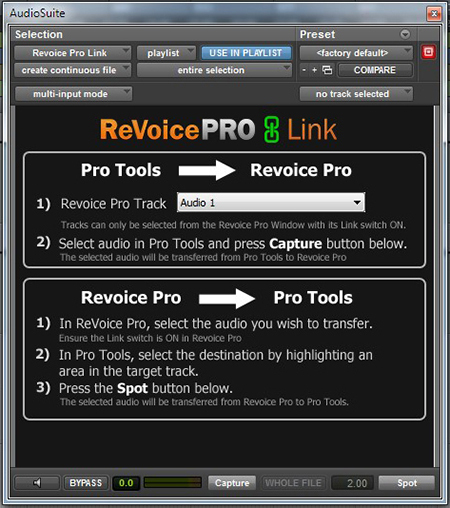 Revoice Pro 3 has many industry standard features associated with pitch correction software. Specifically: timing, pitch, vibrato, and warp. 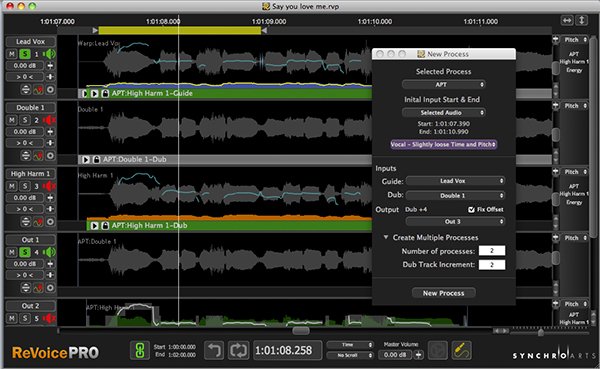 In addition, Revoice Pro 3 has different modes of operation depending on the DAW and/or workflow a potential user may need. 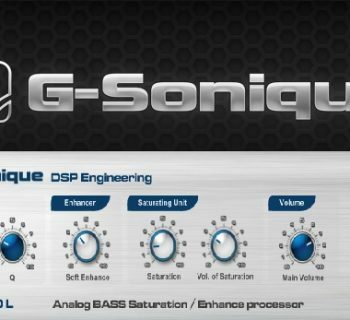 In particular, it can work as a standalone program, plug-in, or (in Pro Tools) as an AudioSuite plugin. Within Pro Tools and other DAWs like Cubase and Logic, Revoice Pro 3’s Monitor plug-in feature enables the software to work like a re-wire device during playback. What sets Revoice Pro 3 apart from other popular pitch correction plug-ins is the Automatic Dialogue Replacement (APT) feature, which can be used to precisely align separate vocal or instrumental takes/tracks. If you have four tracks of backing vocals where everyone ended their harmony just a hair faster or slower than everyone else, no problem. That’s precisely the kind of job APT was designed to tackle. And if you’ve got stacks of rhythm guitar tracks, APT tackles that performance tightening, too. 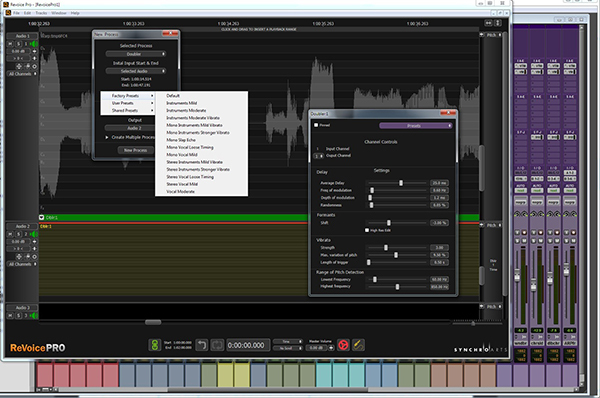 Revoice Pro 3 also boasts a Doubler, making it a one-stop shop for ADR (Additional Dialogue Recorded) and almost any audio processing needs where multiple takes are out of sync. When you dig into the software, the timing, pitch, warp, and vibrato (among other features) each contain many sub-categories of functionality that make this a very powerful editing tool. We tested Revoice Pro 3 in a Pro Tools 11 HD Native environment and as a standalone plug-in on our studio’s custom-built Windows PC with an Intel i7 3.33GHz processor. Installation was a no brainer and used our iLok 2 for authorization. In both scenarios, Revoice Pro 3 performed extremely well and never caused a crash. For professionals used to pitch correction software that is unstable, the stability on display here cannot be understated! To fully exploit the power of Revoice Pro 3 we found the best workflow occurred within Pro Tools using the Revoice Pro Link AudioSuite plug-ins, which is very similar to the connect feature found in Izotope’s popular RX4. This enabled us to edit in detail and quickly transport our processed audio back in to the session. 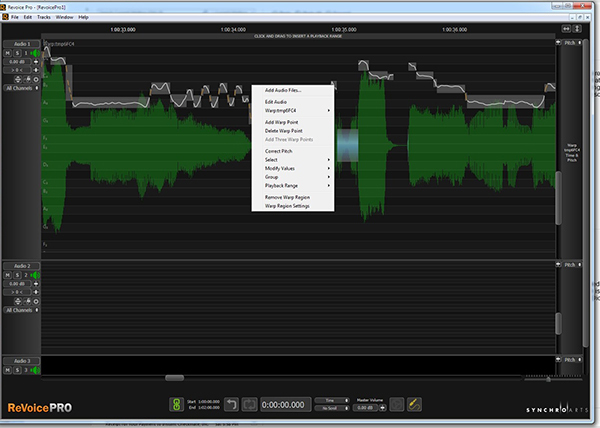 Once the audio was in Revoice Pro 3, most modifications were made with right-click access to a context-sensitive menu. When we attempted to correct pitch via this simple and direct method, the correction was usually very close and needed no further modifications. However, when more detail was needed for pitch, timing correction, and vibrato manipulation, we found the interface easy to use and effective without a lot of artifacts. However, those used to a larger, more graphically detailed interface may be disappointed. Nonetheless, what Revoice Pro 3 lacks in graphic detail it makes up for in performance. 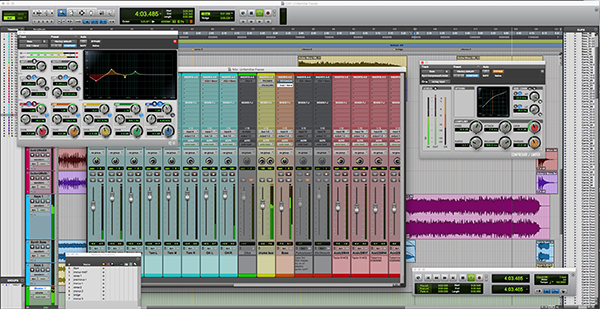 Another plus for usability was the software’s mirroring of common Pro Tools key commands. For example, we used the key command B to bring up the new process menu that included the Audio Performance Transfer, Doubler, time and warp functions. Certain features provided even more detail, such as when utilizing the Doubler (shown below). We used mono and stereo outputs across multiple tracks and made modifications to delay time (in milliseconds), formants, and pitch detection. In addition, a plethora of user presets pretty much have you covered, and we found that they were so useful that the need for tweaking them was actually quite rare. Better still, when a quick APT or Double was needed, these additional plug-ins made processing that much easier and faster. For example, with multiple vocal takes that were close in timing to begin with, we turned first to APT instead of to the more detailed Revoice Pro Link plug-in. This process automatically moved us from the guide vocal to the dub vocal without having to access the Revoice Pro Link plug-in. The same was true of the Quick Doubler feature—another useful time saver. However, if there is one area where usability had a chink in the armor, it was in the vocal alignment category when using the quick APT function (as opposed to Revoice Pro Link). Every now and then, vocal alignment would be off for a syllable or two. Nonetheless, this could easily be corrected by aligning a smaller section, or going under the hood in Revoice Pro. All in all, as we got used to working in Revoice Pro 3 and learned to recognize which section sizes were optimal for correction via APT, the error rate nearly disappeared. Just when we thought things couldn’t get better, Revoice Pro 3 knocked it out of the park with the overall sound quality. Regardless of the process we used, RVP sounded natural and nearly void of artifacts. Of course, there are limitations to any pitch correction software and we find this type of technology best used sparingly for small corrections. Nevertheless, when a good amount of pitch correction was needed, the smoothing parameter covered the “glitch” quality quite well. 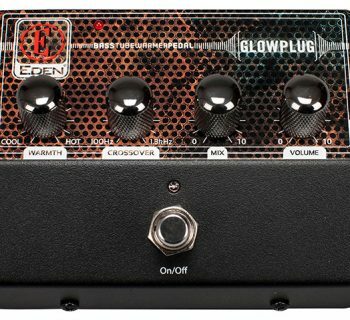 The other main reason for using this plug-in, Audio Performance Transfer, sounded absolutely stellar and transparent! APT aligned significantly out-of-time takes with ease, and pretty much eliminated the need to worry about some of the strange “bumpiness” or “swimmy” artifacts sometimes associated with timing corrections. The Doubler was second to none in sound quality, and could easily be used in lieu of double tracking vocals—especially when faced with a time crunch, or when your artist is not “gifted” in the art of double tracking. In fact, the Doubler was the only plug-in of its kind where we had a vocalist pick their “Revoice Pro double” over a naturally recorded double. Like most companies, Syncro Arts has extensive online documentation and a built-in help menu within the application, which also includes links to useful tutorial videos. If you are based in the U.S., bear in mind that Synchro Arts is a U.K.-based company, so if phone support is required, plan accordingly for time zone differences. At $599, Revoice Pro 3 is clearly priced more for the pro studio than the project studio. 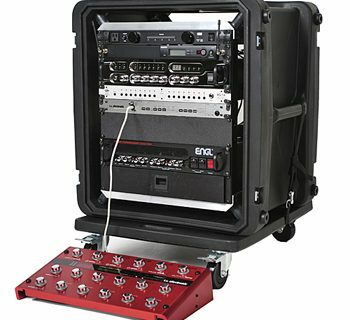 For the working mix engineer, it’s a no-brainer, as the time savings gained more than compensates for the cost. Synchro Arts also offers an innovative rental program! For $179, you can rent use of the software for three months (project based), and if you rent for a fourth time, the company transfers a full ownership license to your iLok account. For the budget-conscious or cash-strapped musician recording in a project studio, we’d suggest VocAlign Project 3, which delivers the core APT basic time-alignment functionality for just $325.